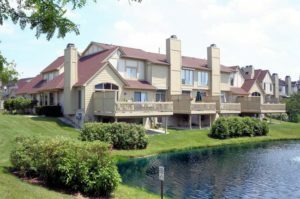 Ashford Place is a luxury Ann Arbor complex, the spacious townhomes are surrounded by a beautiful landscape with wooded areas and two ponds. There are currently 0 condos listed for sale and so far this year, 3 have sold. $355,000. 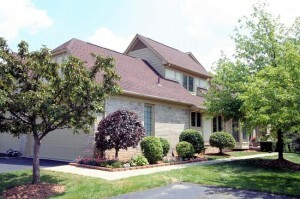 2721 Winter Garden Ct., Ann Arbor. 1961 square feet with 3 bedrooms and 2.1 baths. $350,000. 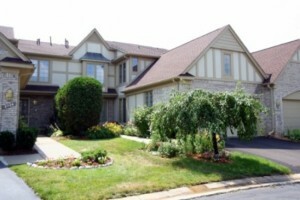 2730 Winter Garden Ct., Ann Arbor. 1961 square feet with 3 bedrooms and 2.1 baths. $328,000. 2753 Maitland Dr., Ann Arbor. 2155 sq. ft., + 1000 in finished lower level, 2 bedrooms and 3.1 baths. Last year at Ashford Place, 5 condos sold with an average sale price of $337,400 and an average price per square foot of $158.00. The 3 condos sold this year have an ASP of $344,333, up slightly, and an A$/SF of $171.00, up 8%. To learn more about condo values at Ashford Place, contact the real estate specialists with The Bouma Group at (734)761-3060 or email info@bouma.com. View more Ann Arbor condominiums here! Ashford Place continues to have steady yearly sales and increased condo values. There are currently 0 units listed for sale and in 2013, 3 units sold. $330,000. 2784 Maitland, Ann Arbor. 2155 sq. ft. +1001 in finished lower level, 2 bedrooms and 3.1 baths. $305,000. 2787 Maitland, Ann Arbor. 1961 square feet with 3 bedrooms and 2.1 baths. $245,000. 2700 Winter Garden, Ann Arbor. 1961 square feet with 3 bedrooms and 2.1 baths. In 2012, the average sale price at Ashford Place was $258,333 and the average price per square foot was $130. Last year, the ASP increased by 14% to $293,333 and the A$SF increased 12% to $145. To learn more about the amenities available and market statistics for these Ann Arbor Condos, contact the specialists with The Bouma Group today at 734-761-3060 or email info@bouma.com. Inventory for the overall Ann Arbor condo market continues to decline, and is down 7% when compared to the end of May. Although it’s still in a buyer’s market with a 7.4 months supply of units, that number decreased by 8% over last month. 34% of units listed for sale are under contract with a buyer, which is also up from the end of April, and sales for the past 12 months have also slightly increased. These are all good signs that point the Ann Arbor condo market beginning to stabilize. Ashford Place condos is a luxurious community located on the popular NE side of Ann Arbor. There are currently 3 units for sale with 1 under contract, and 1 unit has sold so far this year. Last year, only 2 units sold with an average sales price of $223,750 and an average price per square foot of $103.88. Listed for $320,000. 2154 square feet +870 in finished lower level, 4 bedrooms and 3.1 baths. Listed for $349,900. 2416 square feet +1264 in finished lower level, 4 bedrooms and 4 baths. Listed for $260,000. 2235 square feet with 2 bedrooms and 2.1 baths.